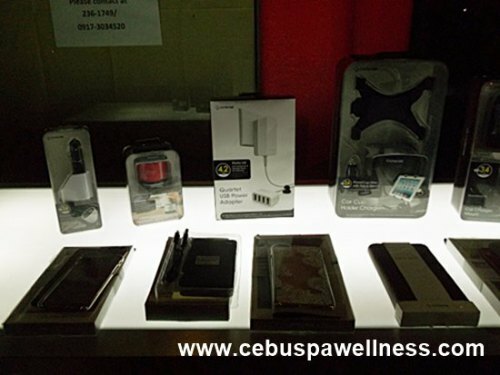 The Cebu Blogging Community started in 2014 as a idea coined by five friends who wanted to connect with other blogging enthusiasts in Cebu. Little do they know that it would soon grow from five to almost a hundred in less than a year. This once small group of bloggers continues to grow as more and more Cebu-based bloggers turn to digital media to share their interests and passion. So how did I come into the picture? 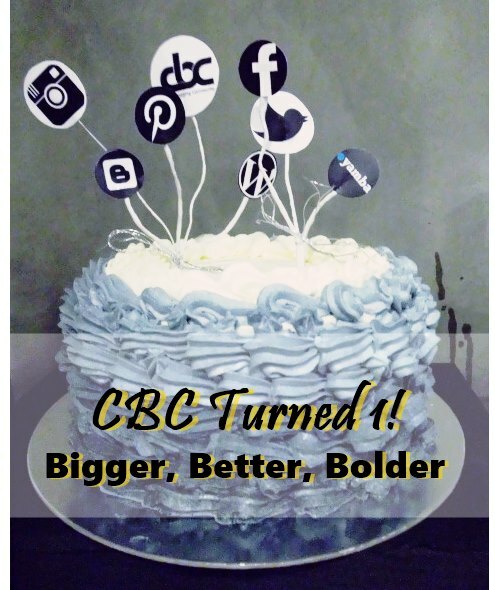 Let me give you a little backstory of how I joined CBC. 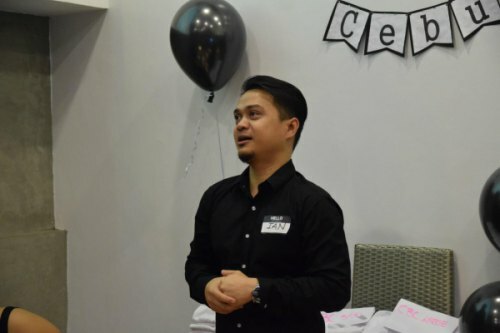 Sometime in September 2014, I got an email invite from Bjorn Bernales, one of the Cebu Blogging Community pioneers to join their premier blogging event–the Cebu Blogging Summit. We don’t know each other at first but I believe he mined my email address from the GBG event he organized in May 2014. Looking back, I’m glad I didn’t throw his email to the spam folder because I wouldn’t have known how amazing it is to be part of this group. 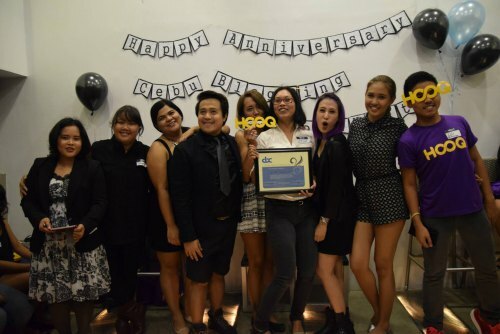 To celebrate this group’s very important milestone, we had our First Year Anniversary on July 4th at F Cafe and Bar, at The Gallery, Mabolo, Cebu City. 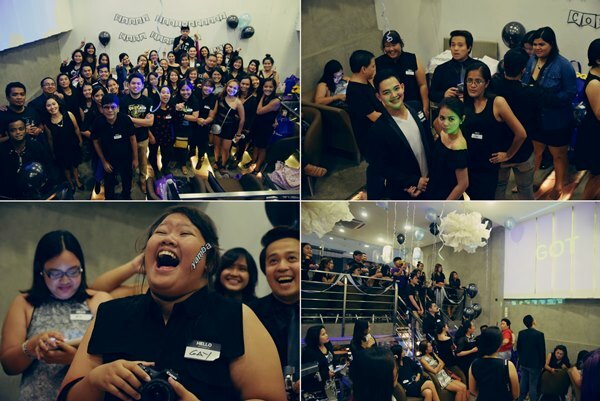 Everyone showed up with their best black-themed outfit to the party and had a sumptuous buffet dinner of Filipino dishes and a few drinks. 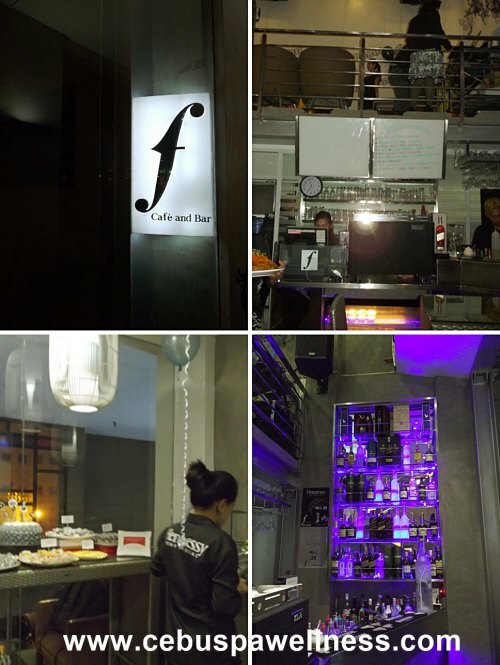 CBC celebrated their Black Anniversary Party at F Cafe and Bar, The Gallery. There was so much fun and positive energy that night. It was an evening filled with infectious laughter, lighthearted banter and non-stop chatter among the group. We had games and prizes given away by our cherished sponsors (more on them later) for the winners. We also took so many photos that my Facebook newsfeed was flooded with them the next day. Since this poor blog could only handle an adequate number of images from its Media Library, I’ll show you just a few highlights of the crime, err…party. Once in a while when I’m in the mood, I sometimes treat my sweet tooth to mouth-watering desserts served that evening such as the ones from Yoyi’s Pastries and Desserts. 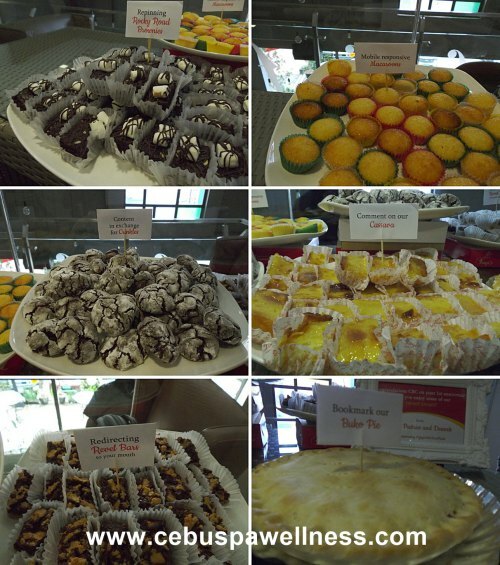 Originally based from Ormoc, this simple bakeshop has expanded to Cebu to offer their soul-satisfying revel bars, cassava cake, chocolate crinkles (my personal favorite), rocky road brownies, buko pie, butterscotch and so much more. You can also walk-in to their bakeshop to have your personalized cakes baked for special occasion. A new kid on the proverbial social media block, Yamba is poised to become a platform to soon hit the interwebs. Present that evening were representatives from Yamba inviting us to join the Yamba Beta Testing for a chance to win an iPhone 6. You heard that right. Check my post for more details to know how you can be part of the beta testers of Yamba and win yourself a cool new smartphone. The deadline for the beta testing will be on July 25 so hurry and sign up now. Have you heard about Hooq? It’s one of the best movie streaming app on the planet that works just like Netflix in the US. Since Netflix is not available in the Philippines, you might want to take a look at what Hooq (powered by Globe) has to offer. Ms. Shiela Paul, Marketing Head of Hooq Philippines shared some of the great things for their users. You can browse thousands of foreign and local movies, and favorite TV series from a desktop, smartphone or tablet. As a gift, they gave us a 30-day free trial just so we can try and see it for ourselves. The first TV series I watched was Ugly Betty (I’m still on Season 1 so no spoilers, please). I’ll write about my viewing experience on a different lifestyle blog that I’ll be creating soon. For now, what I can tell you is this app offers so much potential and will surely redefine your movie viewing habit. Trust me, I’m now Hooq’d. Ms. Shiela Paul and her Hooq team together with the CBC Leads. To further liven up the party, the Hooq team organized a mini-game where the contestants have to guess the title of popular movies or series. Some even have to re-enact scenes from a movie which caused quiet a riot from the crowd. Ian Fuentes, the geek tech blogger behind Pinoy Metro Geek came up on stage to talk a little about Capdase, a gadget accessories store that markets elegant accessories for your smart devices. Now that almost everyone has their own mobile device, Capdase wants you to enhance and protect them with accessories like their iPhone 6 folder case, car mount, sport armband (ideal when you’re jogging), power bank, and charging cable. Here are some of the products on display outside. 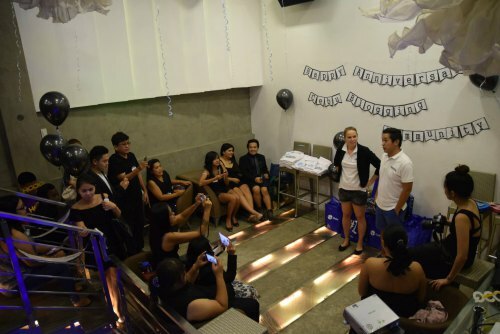 Some of my fellow bloggers even won themselves a Capdase SOHO Bluetooth Speaker. Do you know? Back in the old times, people actually used shells from turtles to make ukeleles. That is one part of history that is quite disturbing knowing that turtles here are now protected by wildlife conservation group in the country. Nowadays, most ukulele manufacturers designed their instruments without involving any turtles. One such company is Turtulele, a premier manufacturer of lightweight and fully-casted fiberglass ukelele. The name itself is a play between turtle and ukelele. You can rest easy that no turtles or any animals for that matter were used to make them so you can rock on with that ukelele and also protect Mother Earth. 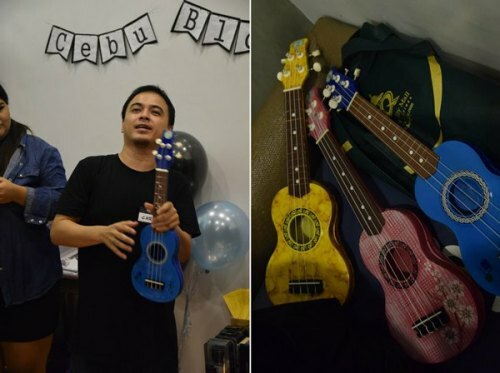 During the party, Turtulele gave away a few of their beautiful ukeleles as prizes during the party for bloggers who joined their video contest. I don’t know what the future holds for Cebu Blogging Community but I am positive that it will grow stronger and bring more bloggers closer. I still have not met all of the members but to work with these smart and bubbly people will be such an honor. We’d also like to thank our other sponsors: Square Foot, Kublai Khan, Giga Naturally, Global Hub Serviced Offices and Mele + Marie & Megabijoux for making this party possible. This evening moving forward marks a long exciting journey for us, as one huge community of bloggers, digital media enthusiasts and normal people with varied interests and passion in life. If you’re interested to be part of Cebu Blogging Community, send us a message at our FB account.